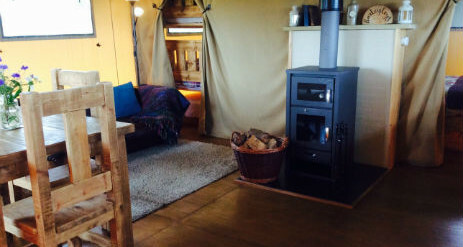 Village Farm Getaway offers a unique glamping experience located in beautiful Leicestershire. 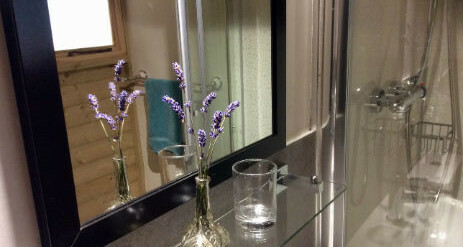 Situated on a dairy farm and in a secluded setting Village Farm Getaway is the perfect place for family holidays and romantic escapes, and an ideal place to make those long lasting memories that will live in your heart forever. 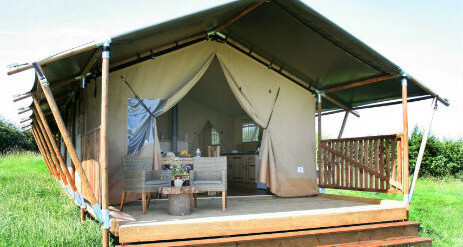 With only two luxury glamping lodges available, you can be rest assured that your getaway will be relaxed, comfortable and peaceful. We believe that we have created an exclusive experience for you and your family. 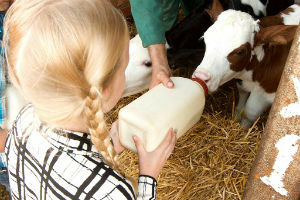 With our working dairy farm within walking distance, you will have the chance to feed our calves, collect some eggs for your breakfast from our hens and have a tour around the farm. You will enjoy a lovely atmosphere where children can experience the countryside, exploring the great outdoors and discovering nature at its best. 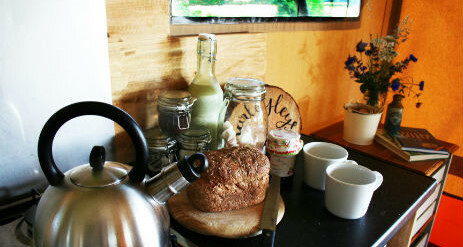 Barleyleas and Coathills offer a great glamping experience with a few home comforts that you will love. 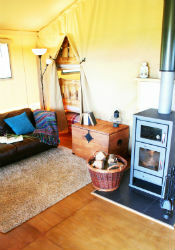 Enjoy a glass of wine around your log burner. 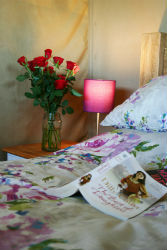 Snuggle up into your warm bed. Toast marshmallows round your very own fire pit, or once the kids have gone to bed, share some champagne under the stars in your optional private hot tub. Picture the scene, you are sitting out on your private deck, watching the sun set over the fields, a chilled glass of bubbly in hand. 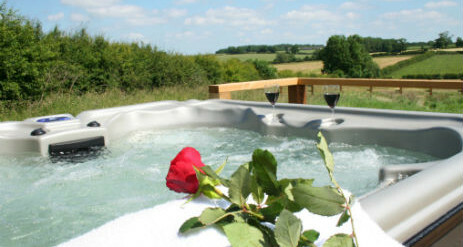 With the sounds of nature surrounding you, enjoy a board game or two or make the most of your private hot tub. You will have your very own hot tub. If you would like to use the hot tub during your stay, please be aware that it will be available from 9pm on the day of your arrival. A great way to relax with your loved ones. 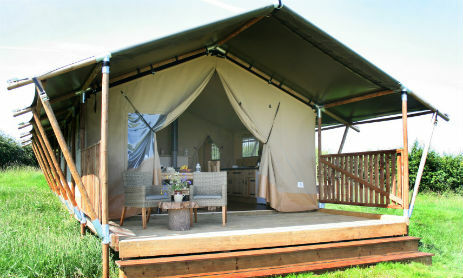 Enjoy a glass of bubbly whilst star gazing with the soundtrack of nature surrounding you. 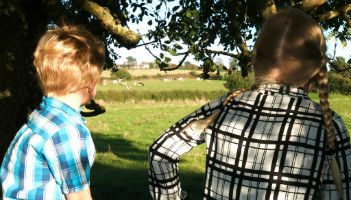 Set in the rambling Leicestershire countryside, the farm has an impressive dairy herd, selling high quality milk direct to Long Clawson Dairy for Stilton cheese. There are ample footpaths to explore the 450 acres of arable and grazing land. 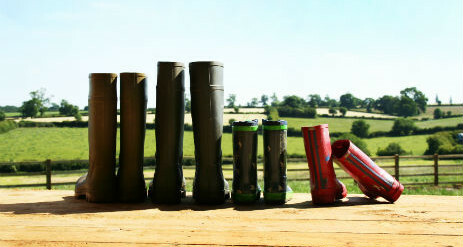 The farm is in the Natural England High Level Scheme for hedges, ponds and boundaries which enhances the wild life and environmental features. The ridge and furrow fields, dew ponds and evidence of Roman settlements all add to the history and charm of Village Farm. 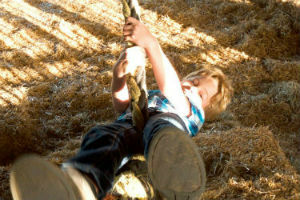 There are many exciting adventures awaiting you at Village Farm, but if you choose to wander into the surrounding areas, you won’t be disappointed. From the National Space Centre to Richard III’s Visitor’s Centre to quaint and quiet garden centres, there is lots to do come rain or shine. 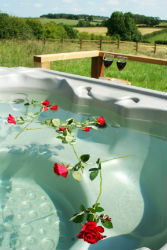 Barleyleas and Coathills have the option of a private hot tub at £75 per booking. Minimum of two night stays.